Pradhan Mantri Kaushal Vikas Yojana (PMKVY) is a flagship scheme of the Ministry of Skill Development & Entrepreneurship (MSDE) implemented through National Skill Development Corporation (NSDC). It is India’s largest skill certification scheme and the objective is to enable and mobilize a large number of Indian youth to take up outcome based skill training and become employable and earn their livelihood. It is the first step towards making India the skill capital of the world. It was launched by Hon’ble Prime Minister Shri Narendra Modi on 15th July 2015. Under this scheme, Chanu Creations, Imphal, Manipur has been trained RPL (Recognition of Prior Learning) training to 200 weavers in Ziro, Lower Subansiri District of Arunachal Pradesh on the job role ‘‘Two Shaft Handloom Weaver’’ (QP No: TSC/Q7303, conforming to NSQF Level-4) as PIA through NSDC. The training was imparted in accordance with National Skills Qualifications Framework (NSQF) with strict monitoring guidelines enforced by NSDC. The assessment of the trainees (both theory and practical) was conducted by Intouch Professional Services Pvt. Ltd., Chandigarh assigned by Textile Sector Skill Council (TSC). RPL is an important step towards getting formal acceptance and respect for informally acquired knowledge and skills. It shows the trainees a path to bridge their current knowledge and skill levels to reach a competency level or go for higher skills for professional growth. Altogether 191 trainees were successful the assessment and certified for RPL Certificates. All these certified trainees are also covered Personal Accident Insurance Scheme under Pradhan Mantri Suraksha Bima Yojana (PMSBY) for three years provided by New India Assurance Company. The certificates distribution ceremony of the RPL-PMKVY certified trainees of Lower Subansiri District, Arunachal Pradesh was held in Ziro at Kasturba Gram Seva Kendra, Hong-Village on 16th February 2019. The event was graced by Shri Tilling Duri (Head Man) Gaon Bura of Niitii Ziro (Arunachal Pradesh), Smt. Chirom Indira a National Awardee, Nari Shakti Puraskar Awardee, Women Transforming India Awardee, DMA All India Women Entrepreneurs Awardee, Vasundhara Hall of Fame Awardee and Proprietor/CEO of Chanu Creations, Shri Hibu Yanii, Gaon Bura of Niichi Ziro (Arunachal Pradesh), Miss Mrinalini Gogoi Asst. Incharge of Kasturba Gram Seva Kendra, Ziro of Arunachal Pradesh and Shri W. Joyshankar Luwang Project Manager of Chanu Creations as Chief Guest, President and Guest of Honours respectively. All the certified trainees of Lower Subansiri District were awarded RPL Certificates at the event. The small loom industry has been making all possible efforts to not only provide livelihood but also promote the traditional products. By giving women skills and new opportunities, we can unlock their full potential and enable every woman to find a new meaningful place in society. It is truly gratifying that the efforts of Chanu Creations bring smiles to thousands of women weavers in the region through RPL-PMKVY and moving towards the fruitfulness tomorrow’s generation with a new identity. Rinku Khumukcham, Editor of Imphal Times has more than 15+ years in the field of Journalism. A seasoned editor, was a former editor of ISTV News. He resides in Keishamthong Elangbam Leikai, with his wife and parents. Please do not post Hate Speech, derogatory, racist, obscene, spam comments. 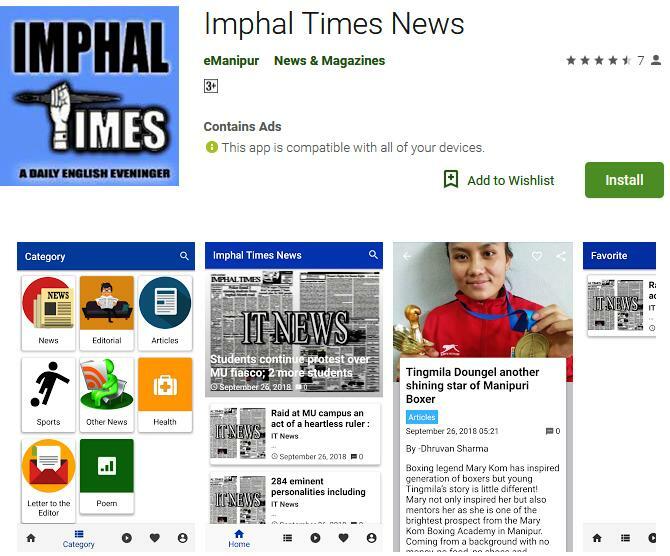 Copyright © 2014 IMPHAL TIMES. All Rights Reserved. Site Designed, Hosted and Maintained By; eManipur!.